The Cyber Vault has gathered below a compendium of basic documents from certain key cyber-related court cases. 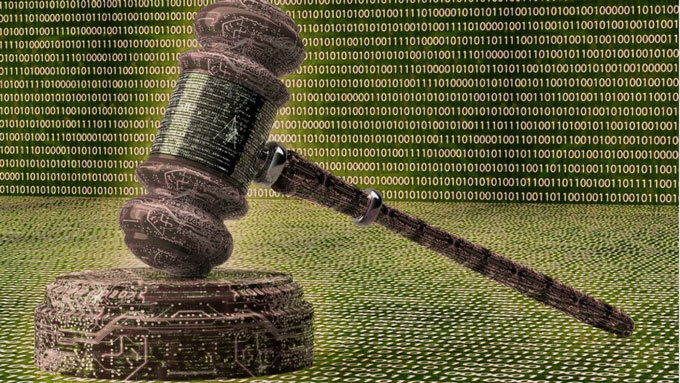 Court documents are often crucial to understanding the judicial history of legal quandaries related to internet technology as well as how the United States investigates and prosecutes cyber-enabled crime and espionage. The list is in alphabetical order by defendant. We encourage users to suggest additional cases or to provide relevant documents. Declaration of Professor Edward W. Felton in the United States District Court for the Southern District of New York. Bangladesh Bank vs. Rizal Commercial Banking Corporation, et al. Complaint in the United States District Court for the Southern District of New York. Democratic National Committee v. the Russian Federation et al. United States District Court for the Western Washington District at Seattle, "United States of America v. Dmytro Valerievich Fedorov, aka hotdima, superseding indictment"
United States District Court for the Western Washington District at Seattle, "United States of America v. Fedir Oleksiyovych Hladyr, superseding indictment"
United States District Court for the Western Washington District at Seattle, "United States of America v. Andrii Kolpakov, superseding indictment"
United States of America v. Huawei Device Co., Ltd., and Huawei Device USA, Inc. – Indictment in the United States District Court for the Western District of Washington. United States of America v. Huawei Technologies Co., Ltd., Huawei Device USA, Inc., Skycom Tech Co., Ltd., and Wanzhou Meng – Superseding Indictment in the United States District Court for the Eastern District of New York. Warrant and Order in the United States District Court for the Central District of California. Order in the United States District Court for the Northern District of Georgia. United States of America v. Park Jin Hyok – Criminal Complaint in the United States District Court for the Central District of California. Opinion in the Supreme Court of the State of Illinois. RE: United States v. Joshua Adam Schulte, S2 17 Cr. 548 (PAC) in the United States District Court for the Southern District of New York. Indictment in the Eastern District of New York. United Microelectrics Corporation, et al. Ardit Ferizi, a.k.a. Th3Dir3ctorY, was a citizen of Kosovo on trial for providing support to ISIL and for related crimes involving computer information. Indictment in the United States District Court for the District of Columbia.